The GEKO lights the entire scene evenly, eliminating hotspots and underexposures, for unbeatable night-time images and secure surveillance of the area. The high efficiency heat sink body ensures maximum LED durability and protection against over-temperatures, whereas the front glass, made of special technopolymer, provides high infrared transmittance. The illuminators are protected against electrostatic discharges. The illuminator is available in versions 24Vac/12-24Vdc or 100-240Vac with integrated power supply. 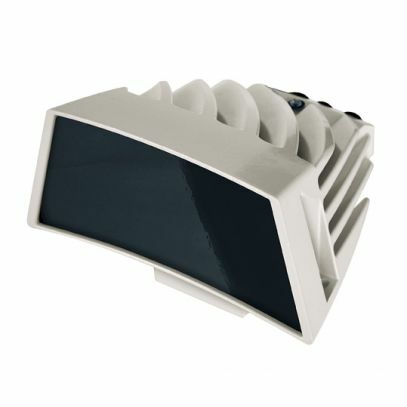 GEKO is supplied with a wall-mount bracket that rotates horizontally and vertically.